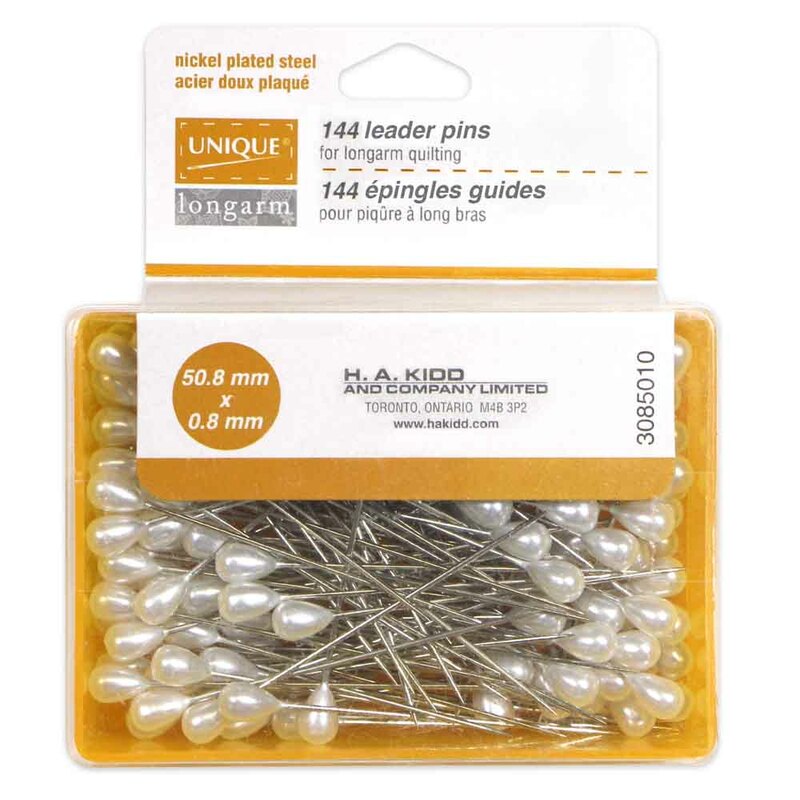 144 plastic, pear-shaped longarm quilting pins. 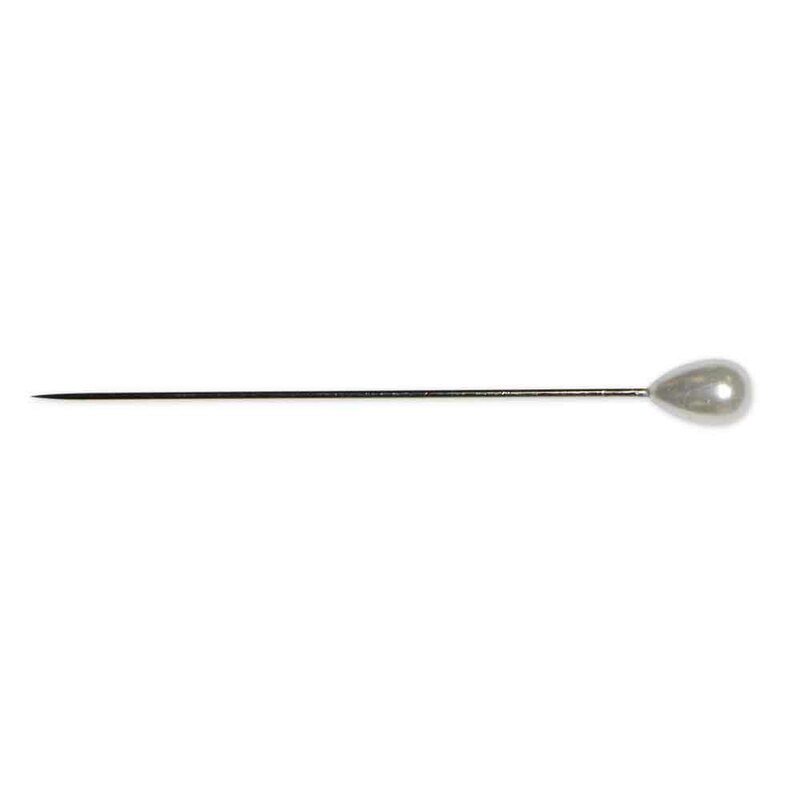 50.8 mm x 0.8 mm. 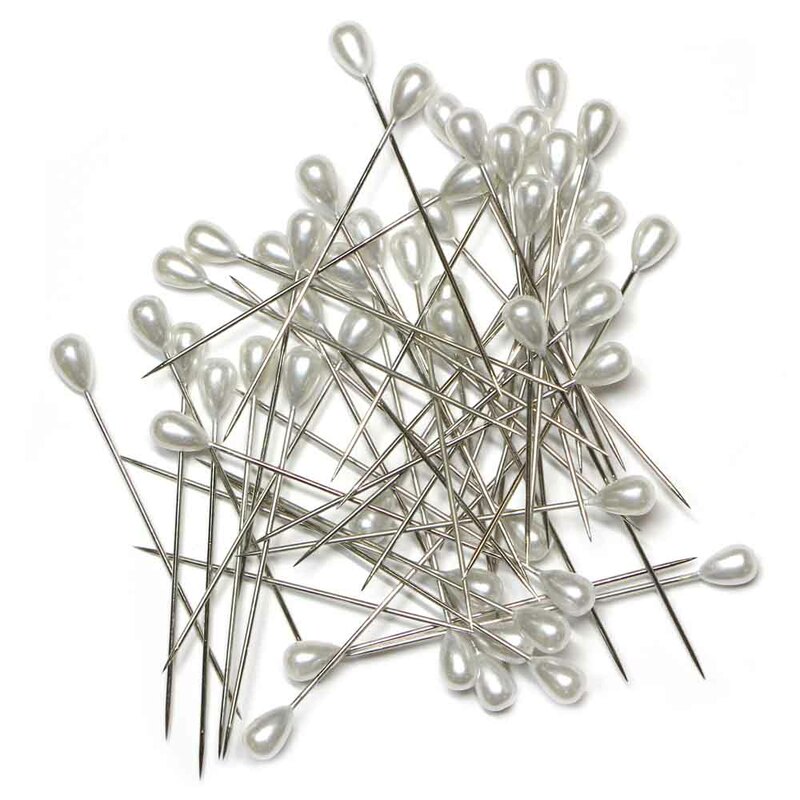 Excellent pin length and strength for piercing multiple layers of fabric. Made of nickel plated steel.